This time of year our winter guest, aka the snowbirds, are migrating back home way up north, and the lovebirds are moving in to take advantage of the tropical air while on their Gulf Shores beach vacation. Last night we had an opportunity of meeting one such love bird couple. These two have actually been in each other's lives since they were both in diapers. A very cute couple indeed. I absolute love couples photography sessions. In my mind, a couple photography session must encompass a very broad spectrum while delivering the end product of togetherness. We love to incorporate posed ideas into our candid shots as if we were just tagging along on your beach vacation. Merely showing happy smile faces normally doesn't solely flip the bill. Connections must be made, and fun must be had by all. We love hearing the story of our couples and catering the session to them. We do not force our sometimes cheesy tack onto anyone. I often admit to couples that it is not something they would do by themselves off the beach, there is no way we would do it here. We strive to portray you, not fake love-ie dove-ie. Award-winning photography is all about real, and we stress this in each and every session. If you are looking for a little couple time and heading to the beach this spring, we want to talk to you. 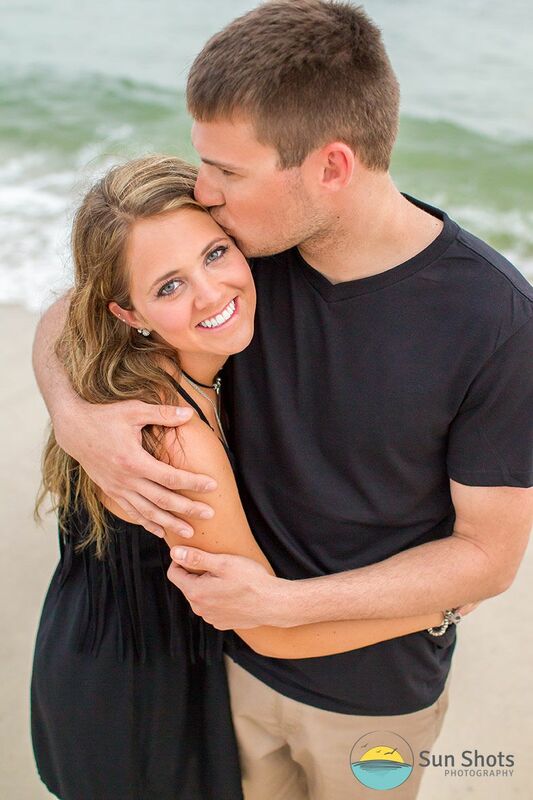 We want to discuss your very own beach photography couples session while on your Gulf Shores beach vacation. You bring the glasses and the bottle of wine, and we will make sure you go home with some amazing unique professional portraits that truly encompass YOU. We understand that moments can last a lifetime, we want to be the artist that delivers. Give us a call today!